China high-speed trains are remarkable – both the trains themselves but also the speed by which China’s authorities have built the rail network. I am on the train from Shanghai to Beijing, a distance of 1,318 km (1st class ticket: 110 euro). The train is cruising at 304 km/h. 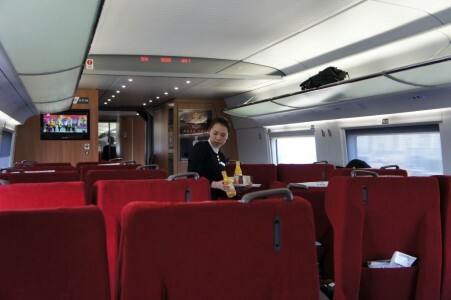 On the route, there are only two stops, in Nanjing and Jinan. 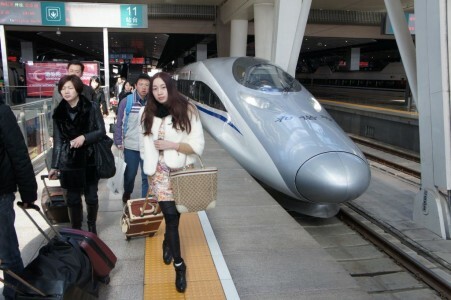 Leaving from Shanghai’s new Hong Qiao Railway station at 10:00 am, I arrive in Beijing at 2:50 pm, i.e. in 4 hours and 50 minutes. The distance corresponds to the distance between Gothenburg and Stuttgart. Totally new tracks were built for the trains. For the Shanghai-Beijing track about 130,000 workers were engaged. The work began on April 1, 2008 and commercial traffic began on June 30, 2011. Most of the tracks are elevated on concrete bridges for stability, for avoiding road crossings and for saving farmland. The longest such bridge is 160 km. Before the high-speed traffic opened the journey took about ten hours. For businessmen, the usual way to commute was by air. When the high-speed train traffic began the airfares plummeted by 50%. But after a few problems with the train traffic the prices for air tickets went up again. Actually, the trains are designed for cruising at higher speed, about 380 km/h but after a severe accident in July, 2011, the speed has been limited to just about 300 km/h. The trains have been tested at 487 km/h (without passengers). A further development is design versions that can withstand bitter cold down to -40 C, very useful for the new track that is being planned for the northeast of China. 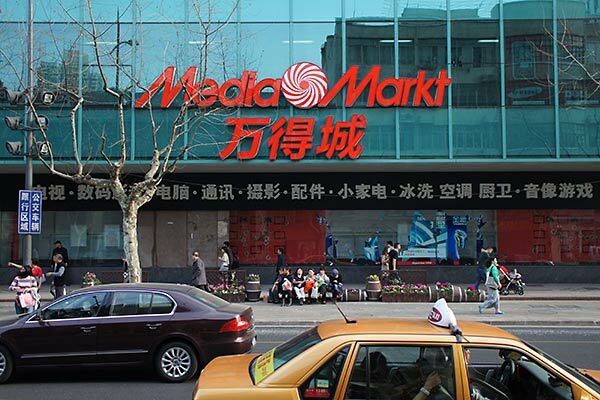 A few years ago, Chinese authorities made bold statements about the expansion of the network. Even a high-speed train all the way to Bangkok was planned. After some setbacks (technical problems and accidents) and limited commercial success, the plans have been slowed down a bit but they are still there.